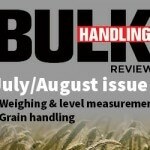 Home » Market Sectors » Engineering » What is the best way to source bulk solids handling expertise? Jenike & Johanson general manager Grant Wellwood explains why, for many organisations, a co-sourcing strategy may offer the best value when making bulk solid flow decisions. Maintaining a full-time expert in-house is often the obvious option but there are alternatives. From our organisation’s global consulting perspective, we have observed that a co-sourcing strategy, like the ones used for other specialised professional services (finance, tax, legal, IP, IT), often offers the best overall value. However, each organisational situation is unique, and the way expert input is accessed matters, so the method used needs to be objective and dependable. Multi Criteria Decision Analysis (MCDA) is a technique well suited to making this choice , and the tools developed in support can help you get the right decision for your organisation. Using a worked example featuring nominal criterion, weightings and scores drawn from our experience, the application of MCDA to this critical access decision is illustrated. Before looking at the decision-making process, it is important to justify the case for expert support. Despite their industry-orientated titles, many mining operations are essential exercises in bulk solids handling. In value chains featuring bulk solids, revenue is directly proportional to effective throughput hence they are only as productive as their weakest link. In many instances, this weakness involves a flow issue, and the prize for permanently solving it can be substantial. In a recently published case study , an iron ore operation was destroying around one million Australian dollars in value per day due to flow problems it had normalised. Nearly all flow problems and the financial and productivity impacts stemming from them can be traced back to a poor-quality design (flow) decisions. Whether it is designing the flowsheet, selecting the flow elements or operating and optimising them after installation; understanding the behaviour of bulk solids provide meaningful and lasting rewards. In all these situations, the best practice is to have flow decisions independently informed by science. While supplier-based expertise can be valuable once the primary decision has been made, in the formative period, it is vital that the expert advice is independent of specific solutions, and there are many options available. Where there is a strong business case for informed decisions in support of value chain flow, the next question is how is it best achieved? In many instances, the flow problem concerned is ‘wicked’ (the problem itself is ill-structured and involves an evolving set of interlocking issues and constraints with solution options that are not right or wrong, but simply “better,” “worse,” “good enough,” or “not good enough.”) . In this wicked context where “the solution” does not exist, the business goal is to implement a flow improvement with a high-value proposition (long-term solution benefit: cost) in the shortest time. Insourcing: Employing the expert as a full-time staffer who then provides the service from within the organisation to its internal clients. The expert reports and is managed by the client organisation. Outsourcing: The expert is employed by a third party organisation and is made available (engaged) on a per-assignment basis according to the terms of a service specific contract. The emerging phenomenon of accessing professional service via the “gig economy” (as part-time, temporary and freelance jobs) has also been included under this banner. Superficially, supplier expertise also falls under this heading, but as we are looking for independence, this variation has not been considered. Crowdsourcing: In this model, the flow solution (conceptual at least) is obtained by soliciting contributions from a large group of people and especially from the online community. Those involved may or may not be special matter experts, and the output usually at concept level (thought bubbles) as opposed to developed and deeply considered application specific solutions. Co-sourcing: A more advanced version of outsourcing characterised by its long-term relationship built on the values of trust, excellent service and quality. While still a third-party employee, the expert in this model is usually assigned to specific clients which leads to the mutual trust and understanding that differentiates it from the next available resource contracting arrangement. In this partnering posture, there is usually a degree of shared success and responsibility in terms of attaining the flow goal(s). objectivity and transparency. The method is built around scoring options against weighted decision criteria important for your business context; a relatively quick and straightforward process that is conducive to a spreadsheet. Within the generally accepted themes of most business decisions (timeliness, quality and value), some common criteria/considerations relating to the engagement of bulk solids handling expertise are presented below as thought starters. Each possible criterion is accompanied by probing questions to help you decide whether it applies to your situation and if so its relative importance or weight. Timeliness – Time is of the essence when it comes to flow solutions, especially when they apply to existing value chains where the value is getting destroyed by the minute. Engagement lead time: How long does it take to access the solution provider and provide the briefing? Does the engagement need to be competitively tested via procurement that often involves lengthy discussions about intellectual property? Availability: Will the expert be ready when you need them? Are they servicing other clients? How scalable is their ability to respond to short notice and high demand? Is the access mechanism sustainable during an economic downturn (ironically when the expert input is most valuable)? Execution time: How long will they take to solve your issues? Can the problem be parallel processed by a team for example? What proportion of the expert’s total time is available for technical issues? Can you get their undivided attention, so that they can focus? History: When it comes to flow problems, history often does repeat so recall can be a big timesaver. Does the expert have access to what worked and didn’t in the past to avoid reinventing the wheel? Currency: Is the expert actively plugged into the latest science and engineering developments or is the expertise permanently frozen in time? Innovation (defined as the conversion of knowledge into profit): Is the knowledge available comprehensive and expansive (international-multi-sector?) or limited to one industry or perhaps one operation? Are they familiar/comfortable with ambiguity and knock-on effects (when it comes to bulk solids flow in a value chain, everything so connected)? Readiness Level: Will the solution be a thought bubble or a fully considered, engineered and costed solution that is ready to go? Objectivity: Can the expert operate without personal biases, emotions, and false beliefs? Will the expert be able to “call it” without political influence, career impacts, or commissions? Connectivity: Is the resource connected to solution providers (OEMs) and fabricators for a seamless transition into the delivery phase? Depth: What will be the residual risk/uncertainty? Will the solution consider uncertainty and incorporate sensitivity analysis? Will the solution be delivered in a manner that can be directly utilised by others in the organisation? Will the features be converted into benefits and communicating in a relevant, realistic and easily understood manner? Completeness: Degree to which learnings associated with the decision (what was considered, rejected and accepted and on what basis) are captured and incorporated into corporate memory? This is a critical feedback loop that is an investment in the future. Breadth: What is the ability to work across business unit silos to get input data and buy-in by transferring knowledge? Accountability: Do they stand by delivering what was promised? Do they have any skin in the game? Is the role in the process deliverable to which they will be held accountable clear? Absolute cost of getting to a workable solution (i.e. includes the access costs associated with the multi-iteration/trial-and-error iterations which are often the hallmark of best endeavours based “experts”). Note the hourly rate for internal experts is not zero and in fact, the real rate can be significantly higher than externals, especially when realistic overheads and time fragmentation allowances are included). If the internal experts move on, the costs of onboarding them and training replacements in the ways of your organisation need to be included. Rework: This is the process disruption and capital cost of failed solutions arising from multiple iterations in the case of the trial-and-error approach. Replication/Re-Use: If the solution provides a competitive advantage to your organisation, how secure is your investment? What are the chances of it being reprised by your competitor? Flexibility: What will be the utilisation of your expert’s time? How easy is it to maximise utilisation given the often-bumpy nature of demand for expert input? Having a full-time expert available for the occasional problem can be costly, and in practice, it is challenging to get this balance right. Reviewing these possibilities, including any of your own, creates a list a list of essential criteria for your decision matrix. However, some criterion are more important than others, so we now need to assign weightings. With each criterion weighted, we need to score its impact in the context of each option according to the same convention of the more significant the positive result, the higher the score (from 0-5). With the MCDA criterion weights and scores assigned, it’s time to determine the overall (weighted) score for each option, which is merely the summation of each weight x score combination. The option with the highest weighted score is possibly the best one for your situation. Is the current weighting value appropriate in absolute numerical terms (according to the 0-5 definitions- think about examples in the real world in your organisational context)? Is the current weighting value appropriate in relative terms to the other criterion? Is the current criterion impact score appropriate in absolute terms (according to the 0-5 definitions)? Is the current criterion impact score appropriate in relative terms to the other options? This step, where individual options are considered and then ranked together against a single criterion, often results in the most change. Repeat the process for the remaining criterion (rows) in your matrix. Once all the criterion weights and scores have all been reconsidered, you may have a new set of weighted scores for your set of options. Is the top prospect from the initial pass the highest scorer again? If so you have probably identified the best option (and created proof to show others if required). If not, you will need to review the weights and scores in greater detail before you have something sound upon which to base your business case/justification. In the worked example, co-sourcing scored the highest, consistent with our best practice field observations across a wide range of industry sectors globally. Co-sourcing differs from outsourcing in that the expert is more a partner who has skin in the game, can build a history, and understand the culture and preferences of the operation while still offering the scalable and high currency resources to generate the best all-around solution. Such a relationship also shortens the engagement process, which is another highly weighted criterion, with assignments taking the form of work schedules to a pre-negotiated master service agreement. The main detractor(s) from the insource option relates to the matter of true independence and the percentage of time an in-house expert retained within a company can spend on technical issues. In many consultancies, over 80% of the available hours are available for billable activities, whereas the administrative and compliance obligations within an operation can reduce the time available to work of solution to less than 50%. While crowdsourcing has the promise of quick and inexpensive access to fresh eyes and possibly special matter experts with vast experience, its endpoint is a long way from an implementable solution; hence its contribution to the goal is minor. Flow is essential to many operations and having decisions informed by science provided by an independent expert routinely pays handsome dividends. While the model for accessing such expertise is contextual, in many situations a Cosource is the best value option. Decision Matrix Analysis – Decision-Making Skills from MindTools.com. [ONLINE] Available at: https://www.mindtools.com/pages/article/newTED_03.htm. [Accessed 28 August 2018]. Wellwood, G. A., 2017. One perfect (production) day – A bulk solids handling perspective, in Proceedings Iron Ore 2017, pp 443-452, (The Australasian Institute of Mining and Metallurgy: Melbourne). Jeff Conklin. 2018. Wicked Problems. [ONLINE] Available at: https://www.cognexus.org/id42.htm. [Accessed 30 August 2018]. Note: The advice here is of a general nature. Specific solutions are very sensitive to their circumstances; therefore, you should consult with a specialist in the area before proceeding. In this regular column, experts from specialist bulk materials engineering firm Jenike & Johanson answer readers’ queries around problems at their sites. General manager Grant Wellwood is passionate about applying the science of bulk solids handling to help people and organisations succeed. As a process engineer specialising in technology development, he experienced the pain of inconsiderate design (his own) early in his career which led to development of his own razor: “It’s always the peripherals that trip you up!” The flow behaviour of bulk solids is deceptively complex and often treated with contempt so there are plenty of opportunities for improvement in almost every industry and Grant enjoys linking problems with science informed solutions. He can be contacted at gwellwood (at) jenike.com.